Fit for a princess, this fairytale My Princess Tiara ring design in PANDORA Rose™ boasts a tiara-inspired design with heart details. Worn alone or with other stackable bands, its feminine shape and romantic pink hue will make you feel like a princess every day. My Princess ring features a tiara design and bezel set cubic zirconia in a PANDORA Rose setting™. 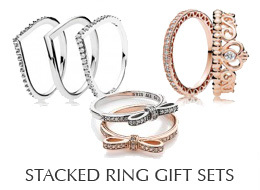 Perfect for stacking in different combinations with other rings or beautiful enough to be worn alone.